Reading: Black Friday/Cyber Monday Deal: PureVPN, 2 Years for $49! Black Friday/Cyber Monday Deal: PureVPN, 2 Years for $49! PureVPN, a Hong Kong-based VPN services with over a million users globally, is offering two years of VPN protection for only $49, a deal valid from Black Friday through Cyber Monday. Disclaimer: This article was provided by Bitcoin PR Buzz. Bitcoinist is not affiliated with PureVPN and is not responsible for its products and/or services. Online shopping hits its peaks during big sales, such as Black Friday and Cyber Monday. With deals that are only seen once a year, merchants can attract even the savviest shoppers to purchase the newest product. This is also an opportune time for hackers and cyber criminals; more users means easier pickings to choose from. An easy way to ensure hackers have a harder time seizing sensitive credentials is by using a virtual private network, an encrypted tunnel that masks information from peering eyes. At a time where people will go onto lesser reputable sites to get the best deal, it is best to use a VPN for the most protection against things like Identity Theft. On top of the free two years of VPN you will be getting, PureVPN will also add in SmartDNS, which PureVPN claims will “unblock websites while keeping the streaming speed high on video streaming websites”. Bitcoin and all major credit cards are accepted, with a total of over 150 payment methods accepted. 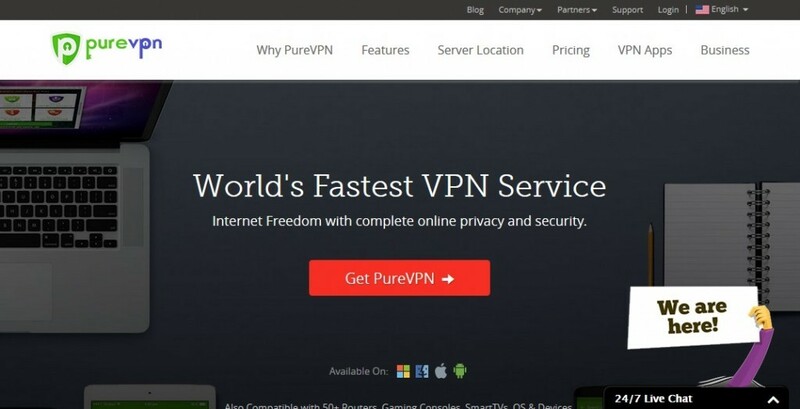 Hong Kong based VPN provider PureVPN takes pride in being one of the top VPN names in the industry. PureVPN continues to dominate the industry offering 500+ servers on all continents for the best user experience, 88 000+ IPs for unblocking worldwide content and numerous add-ons for complete privacy and security. PureVPN recently added Bitcoin, one of the world’s most anonymous payment methods, to its services. Internet users and Bitcoin enthusiasts worldwide can now take advantage of PureVPN’s generous Black Friday and Cyber Monday deal and enjoy 2 years of PureVPN and a 2 year SmartDNS subscription for only $49.